Welcome to the original Learning 2.0 Program. This site was created to support PLCMC's Learning 2.0 Program; a discovery learning program designed to encourage staff to explore new technologies and reward them for doing 23 Things. Since the program's launched, it has fostered Learning 2.0 programs all over the world. If you are interested in duplicating or modifying this program for your organization, please see Program Notes on About Page and contact Helene Blowers for information. encourage exploration of Web 2.0 and new technologies by PLCMC staff. provide staff with new tools (that are freely available on the Internet) to better support PLCMC's mission: Expanding minds, Empowering individuals and Enriching our community. reward staff for taking the initiative to complete 23 self-discovery exercises. The Learning 2.0 program was designed by Helene Blowers, PLCMC Technology Director, with the support and assitance of several staff and is loosely based upon Stephen Abram's article, 43 Things I (or You) might want to do this year (Information Outlook - Feb 2006) and the website 43Things. The design of this online program was completely built on Web 2.0 technologies that are freely available on the Internet. These sites include: Blogger, Flickr, Odeo, YouTube, PBWiki & Bloglines. 23 Things - Every staff member who completes all 23 things will receive a USB MP3 player* capable of holding at least 256mb worth of data, music and/or audio files. 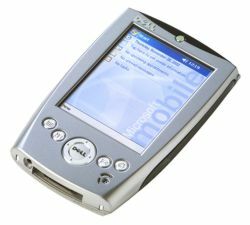 The device can not only be used as a regular USB/Flash drive to store work files, but it can also be used to download and play NetLibrary audio books, music and more. Staff have until Oct 31st to complete all 23 items in order to receive the USB/MP3 Player. Staff Day Incentives - Staff that complete the program by October 6th will receive their MP3 players early and will also be entered into a prize drawing for pda (personal data assistant). The drawing will take place during All Staff Day, Monday October 9th. In order to qualify for this drawing, staff must have all "23 Things" completed and entered into the tracking log on PLCMC Central (staff intranet) by Friday, October 6th. Final Prize Drawing - All staff who complete 23 things by Oct 31st, will receive an MP3 player and will be elgible for the final prize drawing - a new laptop. How does this online learning program work? This is a self-discovery program which encourages staff to take control of their own learning and to utilize their lifelong learning skills through exploration and PLAY. There will be no classes or workshops offered to support this program. Instead, staff are encouraged to work together and share with each other their discoveries, techniques and "how to's" both in person and through their blogs. Is this program open to all PLCMC staff or just some? This program is open to ALL PLCMC staff regardless of position and status (full and part time). If you are not a member of the PLCMC staff, you are welcome to follow along, however the library cannot award you any staff prizes for completion. The program kicks off August 3rd as part of PLCMC's Technology Summit and officially wraps up on Oct 31st. However, staff that complete all 23 Things by Oct 6th will receive their MP3 ealry and will qualify for a special prize drawing on All Staff Day (Oct 9th). The staff that complete all 23 Things by Oct. 31 will also receive an MP3 player and qualify for he final prize drawing. How do I track my progress for each of the 23 Things? Each staff member that chooses to participate in this program will be required to keep a blog to track their progress and will also need to register each item completed in the Learning 2.0 Log found on PLCMC Central. If I'm not a PLCMC staff member, can I still participate? Yes, by all means. However, PLCMC cannot award you any incentives or prizes for completion. You can track your progress through the 23 Things list found on the 43Things site -- I know it sounds confusing 23..43 ..23 doesn't it. ;) Anyway, we welcome participants from other libraries to join in the fun and follow along. Why 23 things instead of having participants do 43 things like the website? No, this is a self-directed learning program. If you feel you need assistance with an item, you are encouraged to be resourceful and to find a co-worker or another staff member who can help. Reading other staff member's blogs can help, too. I've seen the list of 23 Things on the website, but how do I know what to do with them? Each week, two or three posts will be added to the Learning 2.0 with details about the discovery exercises for that week. The reason for this staggered approach is to allow participants the ability to focus each week on a different area without feeling overwhelmed. Can I work ahead through the list of items on my own? Yes, of course. You are encouraged to self-direct your discovery process, especially by working ahead on your own!! However, if you do work ahead on some items, be sure to check back on the exercise details for each item once they are posted so you can be sure to recieve full credit for its completion. What if I need help - who can I call? Since this program is self-directed and is being completed by many staff members throughout the system simultaneously, you are encouraged to work with colleagues along your discovery journey. To find a list of staff participating see The Participants. I would like to earn the MP3 player but don't feel comfortable with my co-workers reading my blog, can I participate anonymously? Yes & No. Since you control all the information that you share on your blog, you can choose to use a screen name to identify yourself to keep yourself anonymous. However, in order to recieve the MP3 player and qualify for the Staff Day drawing, you will need to identify yourself on the Learning 2.0 Log. Your record of progress will only be viewable to you on PLCMC Central. Once I complete all 23 things, how do I get my prize? 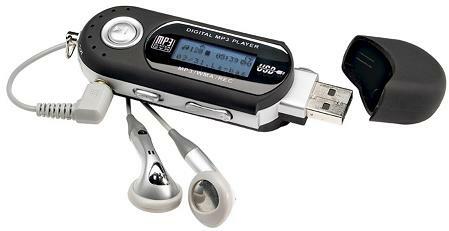 If you complete 23 things by the beginning of October (Oct. 6th is the deadline for logging progress), your USB MP3 Player will be given to you at all All Staff Day. If you complete 23 things after this date and before October 31st, your player will be sent to you though staff mail. If you complete the 23 Things list after Oct 31st, there is NO guarantee that you will receive the incentive. When will the drawing take place for the laptop and other prizes? 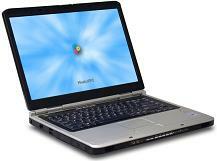 The drawing for the laptop will take place October 31st. In order to qualify for the drawing, staff must complete all 23 Things and log their progress by Oct. 30th. Don't find your question answered here? Then enter it is as comment below. As a closing note, please feel free to borrow or use any information, exercises or content found on this site. Just remember to provide proper credit under Created Commons. * model and specifications may vary from photo. Sorry, it looks like Del.icio.us limits their list export to 100. There are over 200 libraries now who have launched the program. To see others, please go here. This blog has been setup to support PLCMC's Learning 2.0 program for staff. Questions or comments about this project should be directed to Helene Blowers, Public Services Technology Director for the Public Library of Charlotte & Mecklenburg County (PLCMC).